Animated GIFs function great as short picture tutorials. They play well on social media, like Twitter, too. Creating these engaging picture slideshows can range from easy to hard depending on the tools you choose. Let’s take a look at a few free iOS, Windows, Mac, and Chrome tools to create animated GIFs. We will also explore some animated GIFs focused on the Microsoft Education Community, featuring a few common tasks with which learners have problems. Looking for ideas on how to use animated GIFs? Educational technologists need look no further than John Bimmerle’s Tech Tips in 15 Seconds. Here is one animated GIF shared via Twitter focused on OneNote sharing made easy. You can edit the images before placing them in an animated GIF sequence. Include instructions, helpful pointers, and more. You can also use animated GIFs to spice up your Twitterchat/Tweetmeet questions, as shown below. You can imagine creating your images in Powerpoint (or Slides), exporting the images, then stitching them together using one of the free tools available. 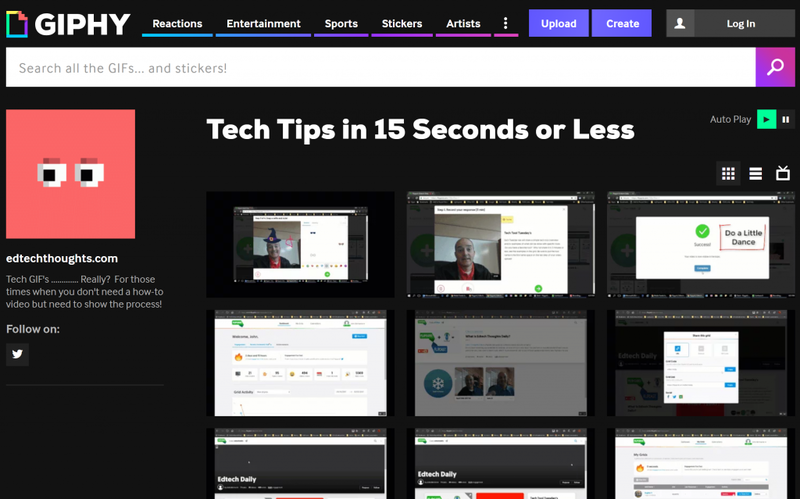 Screencastify Premium (Free for 10 minutes; subscription service available): This awesome screencasting tool (view tutorials) works great on Chromebooks or the Chrome browser. You can save your recordings as MP4 videos or as animated GIFs. These can be saved to either your device or directly to Google Drive. There’s even an education version worth investigating. A few features of Screencastify include a focus mouse, draw with pen, embed webcam, and my favorite, crop and trim. You can also record your desktop screen (e.g. Windows, Mac, GNU/Linux) or a particular tab on your Chrome browser. Gyazo GIF (Free for seven seconds; subscription service available): Gyazo GIF enables you to capture screenshots (pictures of your screen) and then share them online as animated GIFs or save them. You instantly share screenshots faster than any other service by uploading the image and copying the link to your clipboard instantly. 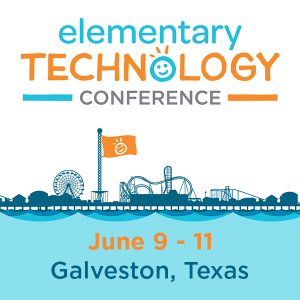 Fellow Texan and TCEA member Kasey Bell has a wonderful tutorial worth reading on this resource. Storyboarder (Free): This powerful storyboarding tool makes it easy to create animated GIFs (and a lot more). You can export creations to Adobe Premiere, Final Cut, Avid, PDF, and animated GIF formats. You can even print out storyboard worksheets and then draw on them. When done, snap a picture with your phone. Storyboarder will import the boards into your project. GifMaker.me (Free): You can use this web-based tool to create animated GIFs. You can also create video animations with free, online music. Another benefit is that GifMaker does not require an account, which makes it perfect for use in a classroom situation. GIF Toaster (iOS; Free): Looking for a way to create animated GIFs on the go? Look no further than GIF Toaster. You can take a series of photos (or screenshots on your iOS device), then arrange them as an animated GIF. You can then copy them to your computer using WiFi sharing from within the GIF Toaster app. It will also take a recorded video and save it as an animated GIF. Additional customization is possible with built-in filters, etc. DataGIFMaker: Although not strictly speaking an animated GIF maker useful for tutorials, if you need to play with data, you will want to check out this offering from Google. It allows you to enter a few values and then display them as an animated GIF. You simply enter data points, type in short names for data point clusters, select colors, and then save the animated GIF. See example. There are many other tools (like Flipgrid!) available for creating animated GIFs. Share your favorite and what you’ve made with it in the comments. Austin Houp recommends students create stop-motion animations as part of their learning activities. He suggests using Google Slides (you could also use MS PowerPoint). Students create a stop-motion slide deck and then export images using the Slides 2 Drive* add on. Then, as a final step, they can combine the entire series of pictures as an animated GIF using GifMaker.me. *Note: Slides2Drive will kick up some security warnings when you add it since it’s not an official add-on. You need it because creating stop-motion animation will result in numerous slides. Google Slides only allows you to export one slide at a time. With Slides2Drive, you can export all slides as images to Google Drive. Aside from stop-motion animations, students can create short explanations using animated GIFs. Be sure to check out the Twitter Takeaways blog entries for some examples. As promised, here are a few animated GIFs featuring Microsoft’s Education Community. Completed a face-to-face or online course? If you need to get your certificate, you can rely on the animated GIF to walk you through the process. It was created with Screencastify Premium version’s tab recording option. Your public profile URL is often required when you are applying to participate in MIE programs. This animated GIF will walk you through the process of obtaining it.